The third grade students participated in an Ag Awareness Day field trip sponsored by the Kenton/Ohio Hi-Point FFA Chapter at the Hardin County Fairgrounds. Students participated in many different hands-on activities related to agriculture and were provided lunch. Thank you Kenton/OHP FFA Chapter! Thank you to everyone who participated in the KES Strides for Pride! It was a HUGE success (more details to follow)! Monday – LAST DAY OF SCHOOL!! Kenton City Schools Invites You to Join Us for Lunch! 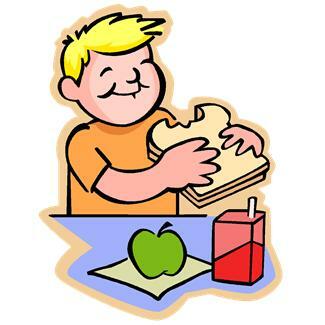 Monday – Thursday beginning June 15th – no lunch is served on Fridays. Vegetables will be one of the following: baby carrots, celery, green beans, or corn. Fruits will be one of the following: orange wedges, apples, applesauce, peaches, or pears. The kindergarten students took a field trip to the Marmon Valley Horse Farm in Bellefontaine. Students were able to ride horses and explore the barnyard. The Cross Categorical Unit took a field trip to the Truman Horse Farm in Kenton. This was an opportunity for students to ride horses and see how they are cared for. They were even able to see a baby horse! The 2nd grade took a field trip in May where they traveled to the Ohio History Connection. This was an opportunity for students to visit the Ohio Village (a town recreated from the 1860’s), as well as, explore some of Ohio’s most treasured memories and items. The 4th grade took a field trip in May where they traveled to Cooper’s Mill (a jelly factory) and AFT (a recycling plant). This was a great opportunity for students to see how local businesses are conducted. The Gifted Program at Kenton Elementary School hosted its 2nd Annual “Share Fair” on May 19th for grades 3 and 6 and on May 20th for grades 4 and 5. The “Share Fair” was an end of the year event where students in the Gifted Program presented their favorite project from the year.